LITU Members, you are invited to explore some of the most famous trout streams in Pennsylvania and the Eastern United States, all located near State College, PA. These are the home waters of countless fly fishing icons, including Joe Humphreys, George Harvey, George Daniel and more. 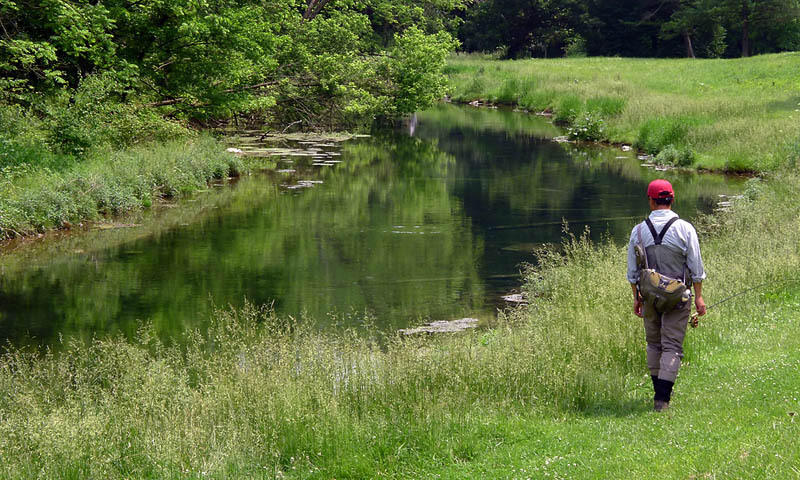 This region is rich with world renowned trout waters such as Penns Creek, Spring Creek, Fishing Creek, and the Little Juniata, as well as lesser known gems like Elk Creek and White Deer Creek. We will be staying at The Feathered Hook, Coburn, PA. There will be room for 17 fly fishers. The cost is $151.00 per person (double occupancy) and includes: 2-nights lodging, 2 breakfasts, and a $10 donation to LITU per person. Dinner is not included and will not be organized as on previous trips. Elk Creek Café and other restaurants in Millheim are good choices if you want to stick close to The Feathered Hook, but there are plenty of additional options in State College and surrounding towns. For more information, contact Jason Creech at 304-610-3625 or jwcreech99@gmail.com. The local fly shops (particularly George Daniel’s Livin’ on the Fly guides, TCO, and FFP) were very generous with their time and provided a great deal of information that helped us plan this trip. We strongly encourage your patronage of these shops on the Fall Outing and on other adventures to Central PA. As this is new water for a lot of us, we also encourage you to take advantage of their guide services. The Chapter has planned it’s 21st Annual Spring Outing to the Catskills, for the weekend of June 8th through June 10th , 2018. Once again we will be staying at the Riverside Cafe & Lodge in Horton, New York, located right on the banks of the Beaverkill River. This venue provides us with several angling opportunities on some of the most picturesque streams in the Catskills... truly “Blue Ribbon” water. 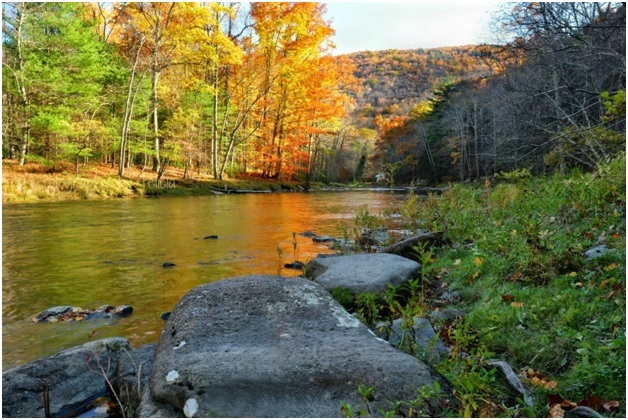 In addition to the Beaverkill, Willowemoc Creek, both the East and West Branches of the Delaware River, as well as many other small creeks and streams are within a short driving distance. There should be plenty of excellent fishing possibilities for all. * Cost includes a $5. 00 donation to the Long Island TU Conservation Fund. Please note that the small cabin is now an additional $5. 50 per person and the large cabins are now an additional $27. 50 per person. Deposits will be accepted beginning at the May 15th Chapter Meeting. spot early! A non-refundable deposit (either cash or check) of $93. 00 or $98. 50 (small cabin) or $120. 50 (large cabin) is due by May 25th, 2018. Remaining balance of $102. 00 per person due upon arrival & payable to “Riverside Lodge”. The Chapter has planned it’s fall outing to the Catskills. 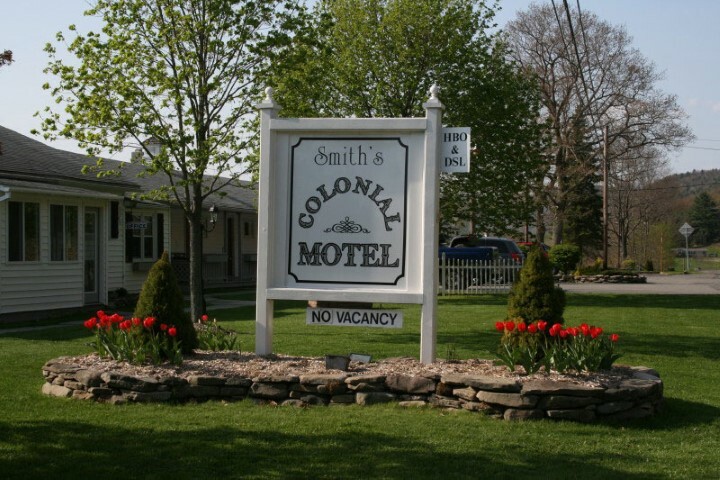 We will be staying at Smith’s Colonial Motel in Hancock NY. Located on the Delaware River. This venue provides us with many angling opportunities on some of the most picturesque streams in the Catskills; truly a “Blue Ribbon’ water as Jeff would say. 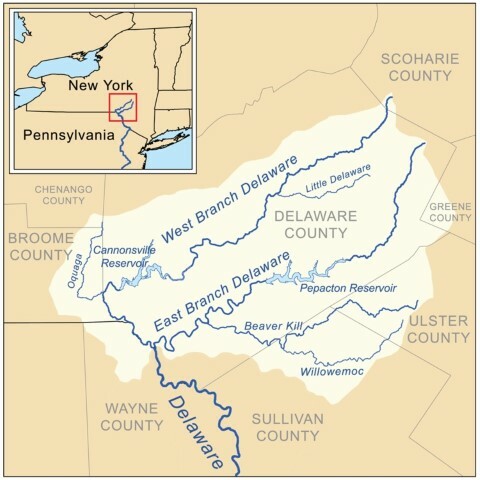 In addition to the Main stem of Delaware - Hancock to Callicoon, the East Branch (30 Miles) and West Branch (12 Miles) of the Delaware, the Beaverkill, the Willowemoc, as well as many other small creeks and streams are within a short driving distance. There should be plenty of excellent fishing possibilities for all. The total cost for this Fall Outing has not been established yet around $100.00 per person, based on double occupancy and includes all taxes. When cost is finalized I will send out an email to all. 2- Night Lodging (Friday and Saturday Nights). Saturday Morning Breakfast – Hot Coffee, Bagels, muffins, smoked salmon and table setup near John Fischer’s / Ken Mattera's rooms. 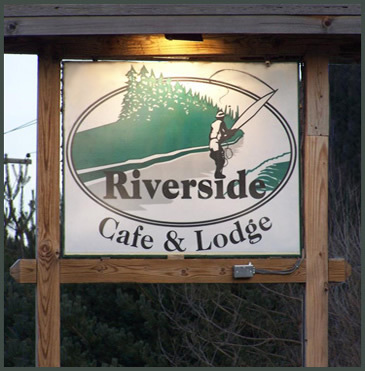 We can make reservations for Dinner on Saturday Night at the Riverside Café (pay your own way). Deposits will be accepted at the September Chapter Meeting. See Ken Mattera (kenstutips@verizon.net) for more information. Space is limited, so reserve your spot early. A non-refundable deposit of $50.00 is due at the September 19th Chapter Meeting, with the remainder due at time of check-in. Cost includes a $5.00 donation to the Long Island TU Conservation Fund. The Long Island Chapter of TU has planned an Early Spring Outing to the central Catskills, for the weekend of April 17th through April 19th, 2015. 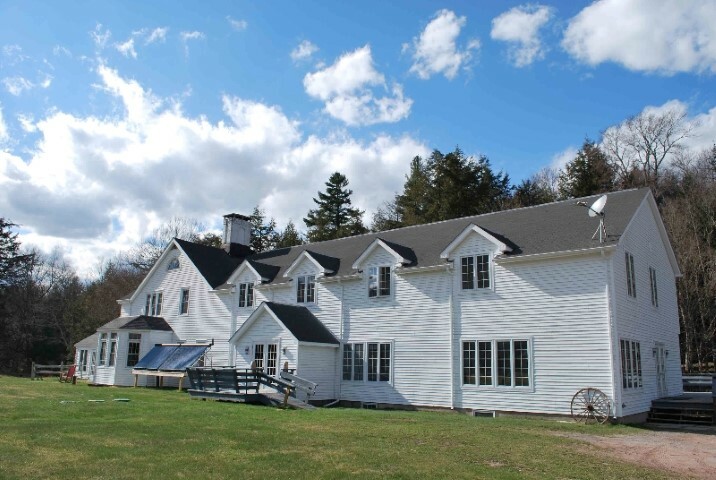 Lodging for this trip will be at the East Valley Ranch in Claryville, New York, a secluded escape, nestled in a serene, picturesque valley near the headwaters of the Neversink River, fourteen miles from Frost Valley YMCA’s main camp, in the heart of the “forever wild” Catskill Park. 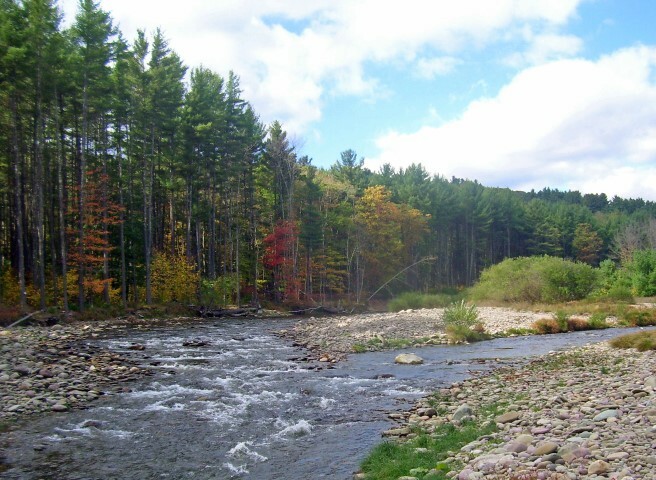 This location affords us with angling opportunities that are not regularly available to most anglers – access to over 8 miles of pristine trout streams on camp property, including the East & West Branches of the upper Neversink River, Biscuit Brook, and Pigeon Brook, which support wild, native brook trout and naturalized brown trout. In addition to both Branches of the upper Neversink, the Mainstem Neversink, Willowemoc, Beaverkill, and Esopus, as well as several other small creeks and streams are within a short driving distance, providing plenty of unique fishing options for all. Deposits will be accepted beginning at the February 17th Chapter Meeting. Contact Jeff Plackis (under board of directors) for more information. Space is very limited, so reserve your spot early! A non-refundable deposit of $147.00 is due by March 17th, 2015, payable at one of the chapter meetings. * Cost includes a $5.00 donation to the Long Island TU Conservation Fund.